A highlight of our hot air balloon tours is a delicious full champagne breakfast at O'Reillys Canungra Valley Vineyards. Breakfast is an intimate experience, as the historic homestead, vineyard and cellar doors are open exclusively to our customers for the morning, you and your party will be able to have their own table setup on the verandah overlooking the vines and vineyard. Breakfast includes a hot freshly cooked meal, pastries and croissants, cereals, fruit, fresh juices, tea, coffee and champagne. O'Reillys Canungra Valley Vineyard is located in the picturesque Canungra Valley, in South East Queensland's Gold Coast Hinterland. As our guest at Hot Air we will have breakfast at the grand Queensland homestead called 'Killowen'. The wide open verandah of this historic homestead is a wonderful place to relax while enjoying a rewarding breakfast and looking out at the orderly rows of grape vines and rolling mountains. This fine example of early Queensland architecture was built in 1858 by the Devine family in Warwick. It was moved to its present position in 1989. Many hours of restoration and care went into bringing the house back to its former glory. Many of the antiques you see in the house today were originally in the house, and have also been restored. 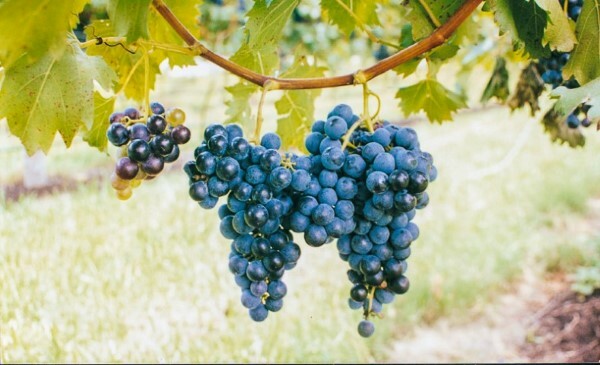 After breakfast you will have time to visit the premium boutique cellar doors where you can do some wine tasting. The cellar door tastings showcase all of the Canungra Valley Vineyard wines, including Chambourcin, Semillon, Shiraz, Verdelho and more. 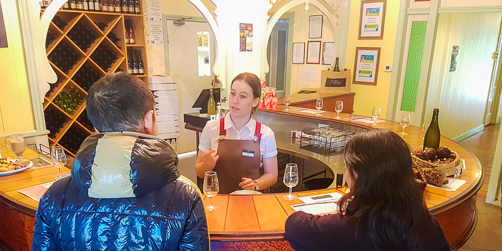 In the tastings you will be able taste wine, learn why certain foods go with certain wines, and experience our aroma kit to build your own memory bank of scents. You are able to purchase some award winning wine. Perhaps you would prefer to stroll the gardens and vineyard. 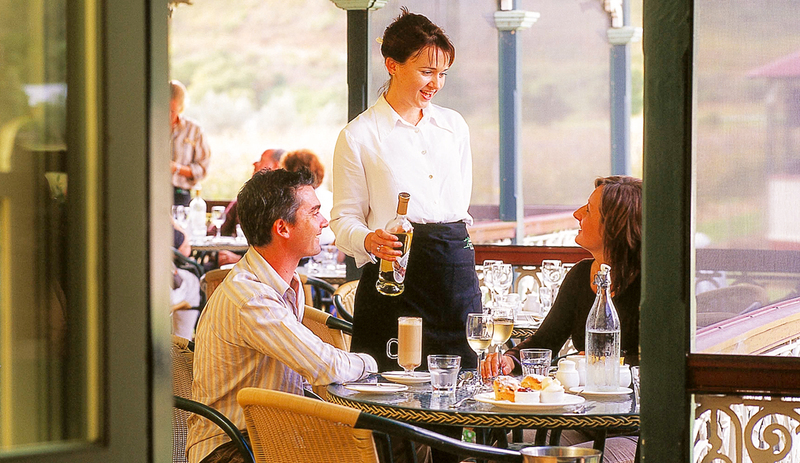 Take a seat at one of the outdoor tables and breathe in the fresh country air. See if you can spot a platypus in the cool flowing creek close to the cellar door. Idea! Your friends and family can join you at the Vineyard for breakfast to help you celebrate a special occasion, such as a Birthday or Mothers Day. Or maybe it's just so they can hear all about your wonderful morning of hot air ballooning. If you would like to have extra people join you at breakfast please advise our Hot Air reservations team in advance so may ensure they are catered for. Additional persons can then pay O'Reilly's direct for the breakfast on the morning of your tour. The cost is $25 for an adult and $15 for a child (12 years and under). Another Idea! - Drive to Canungra Tourist Information Centre and meet us for your ballooning in the morning then we will get you back to your car before breakfast, enjoy the surrounds of Canungra Valley Vineyards for a couple of hours, taste some wines, learn from the friendly team about the process they go through to produce the fantastic range of wines here. Then for lunch maybe head up the hill to O'Reillys Rainforest retreat and resort and stay the night with them - an amazing experience in itself, spas, fires to snuggle around, great walks and hiking to be had. Last Idea! Meet us for your ballooning at Canungra Tourist Information centre, after your hot air balloon ride have breakfast at the Vineyard and then head on up to discover and explore Tambourine Mountain for lunch at Gallery walk - its just 30 minutes away. 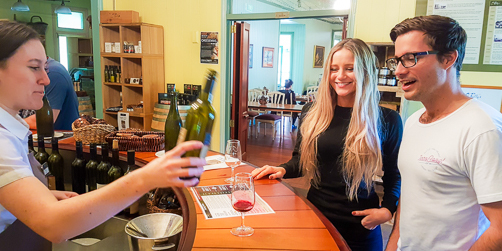 It's easy to find O’Reilly’s Canungra Valley Vineyards, on Lamington National Park Road, about 7 km out of the village of Canungra. The exact meeting time for breakfast varies with the season and we will give it to you at time of booking but it will be approximately 7.45am-8.30am.